Saint Revered Shri Anandmurtiji Maharaj , a liberated and enlightened devotee was born in the calendar year 1976, (Vikram Samvat 2032, Shravan Sukla Agyaras/Ekadashi) at village Padharia, District Mehsana of Gujarat.. He is the only son of Nanduba and Jaswant Singhji Chavda. His mother Nanduba had taught him virtues of devotion from his early childhood. Since a very young age, he used to accompany Saints and discuss various subjects on spirituality and divinity with them. At the tender age of just 7 years, Saint Shri Anandmurtiji read various religious books and his realization was that he has studied all these holy books earlier also. At the age of 10 years, he achieved an extra ordinary understanding of Gita, Shrimad Bhagwat, Ramcharitmanas, Mahabharat, Vedas and Upanishads. Such a type of extraordinary understanding, at this young age could have only been powered by virtue of previous birth’s incomplete mission or God’s special grace. He learned and exercised various Sadhanas in a very short span. At the age of 28 years, hard Sadhana and strong desire of achieving God, resulted in attaining experience of supreme divine soul or Pramatma tatva. After fulfilling his duties of Gruhasthashram, he got diksha from Revered Guru Shri Shakarnathji Maharaj. After getting Diksha, he started sharing the nectar of Satsang across the masses at different places through his disclosures / pravachanas with an aim to benefit mankind and society. He explains the deep, complicated and the most eminent subjects of the spiritual path to the common man in an extremely simple manner, so that an average literate person too can easily understand them. He believes in not criticizing any religion, keeping harmony with all religions, treating them equal without insisting upon any opinion, argument, cult etc. His discourses are based on experience, hence leave an indelible impression on the audience. People become mesmerized while listening to him. 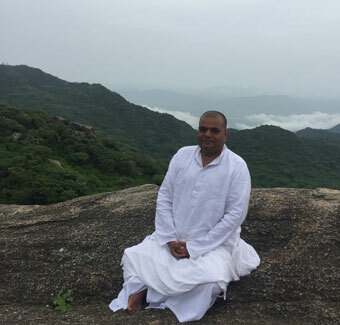 At this young age of 40 years, Saint Shri Anandmurtiji Maharaj has tremendous knowledge of spirituality and an excellent knowledge of religious books. God has gifted him with a glorious character, splendour personality, charming oratory and command on ragas. 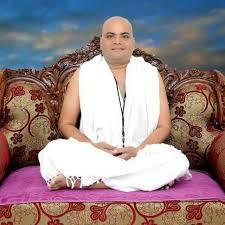 Shri Anandmurtiji has authored many books on important spiritual subjects. He has composed many bhajans as well. It is very difficult to describe in brief about Saint Shri Anandmurtiji Maharaj but this short introduction has been given so that more and more people can become acquainted with this great Saint and his aim and thereby uplift themselves towards ultimate divine goal. © 2016 anandmurtimaharaj. All Rights Reserved.